Most of us spend a reasonable chunk of our working week within the four walls of our office, so it makes sense that we do whatever we can to maximise the level of satisfaction we feel inside our workspace. Flexibility is quickly becoming a buzzword in workspaces across the world and with it, the ability for employees to design a workspace specific to their needs has increased. A recent e-book from Office Depot – A Quick Guide to Collaborative Workspace Design – explores how creating the right office can lead to increased employee satisfaction and productivity. In it the experts agree that offering employees choice over how their workspace looks and feels – even regarding mundane issues like chairs, desks and personal items – can lead to increased morale, employees that report feeling healthier at work and even employees feeling they are getting more work done. Too many offices and cubicles look the same. White walls and bland furniture colours and an apparently ergonomic chair with very little else. Research is showing that allowing employees significant choice over how their workspace looks and feels has a deeply personal effect. Furthermore allowing employees to personalise their workstation helps them to feel ownership over ‘their’ space and leads them to be more comfortable in their working surroundings. To add some personality to an office things like photographs, momentos from past holidays and other things that remind you of life on the outside are great options. Allowing staff to do this, will not only help them feel more satisfied within the space but may also help them to communicate their personal side potentially leading to stronger inter-personal relationships between employees. It’s a fact – each employee is going to have a different requirement from their office furnishings. Whether this is due to their storage requirements or personal health considerations, it just makes sense to allow everyone some control over their office furniture needs. Beyond the obvious of allowing employees to have easy access to all the tools which they require to do their job, tailoring furnishing to employees specific needs can also make them feel much more comfortable at work. A popular trend is the use of height adjustable furniture in workspaces. There is evidence that indicates that sitting for several hours each day can have adverse effects on your health and even increase the chance of certain health issues. Adjustable furniture allows each employee to easily ‘adjust’ their whole office layout to meet their specific needs on demand – either weekly, daily or hourly. Such control can also allow them to determine how much to sit and stand each day which can provide significant health benefits. With employees spending an increasing proportion of their time in the office, it is more important than ever that their workspace supports how they live away from work. Many people today are committed to living a healthy lifestyle, so it is important that the office supports these choices. Considerations like providing employees access to natural light, working in a space which allows for occasional movement away from the desk, and providing healthy eating options – within the office environment or available nearby – are just a few examples of how workspaces can support the lifestyle choices employees make away from the office. Research suggests that such design can assist employees to feel more focused and productive while they are at work – providing mutual benefit for the employee and employer. Whilst at the end of the day the responsibility for ensuring that employees feel satisfied at work falls upon employers, there are significant benefits for both the employer and employees if the later is empowered to take some control over these factors. 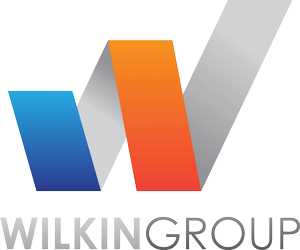 Wilkin Group is an independent provider of Workspace solutions in the Adelaide CBD for small and medium businesses. Much of their success is driven by offering flexibility to their clients in all aspects of the office space.